Hide this Dealer (Palak) Discover properties by other dealers by hiding those whom you have already spoken to. You won't see them in your searches further but you can unhide anytime later. Earth Acropolis is a residential project developed by Earth Realty Group. It is situated in Vadodara. The project offers 2BHK, 3BHK flats and 3BHK, 4BHK Pent House at a very competitive and affordable price. It is well planned and is built with all modern amenities. What is the area of apartments in Earth Acropolis? The area of apartments offered in the project ranges from 1105.0 sqft to 2150.0 sqft. What is total area of 2 bhk in Earth Acropolis? The area of 2BHK units in the project is 1105.0 sqft. 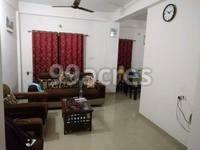 What is total area of 3 bhk in Earth Acropolis? 3 BHK units in the project are available in a size of 1370.0 sqft to 1650.0 sqft. What is the area of 4 bhk in Earth Acropolis? The size of 4BHK units in the project is 2150.0 sqft. What is the price of 2 bhk in Earth Acropolis? 2 BHK units in the project are available at a price tag of Rs. 2650000.